Not unlike its Guess Connect cousin, the Gc Connect Structura achieves a convincing and attractive design while ultimately falling short in the features department. Like other fashion brands, the decision to hold back Google Pay support for a potential later generation is disappointing, though the limited Wear experience on offer here does tick most of the boxes we expect those exploring this watch will be looking for. If you can handle that, as well as the fact you’ll have to charge it every day, the Structura is worth your time. 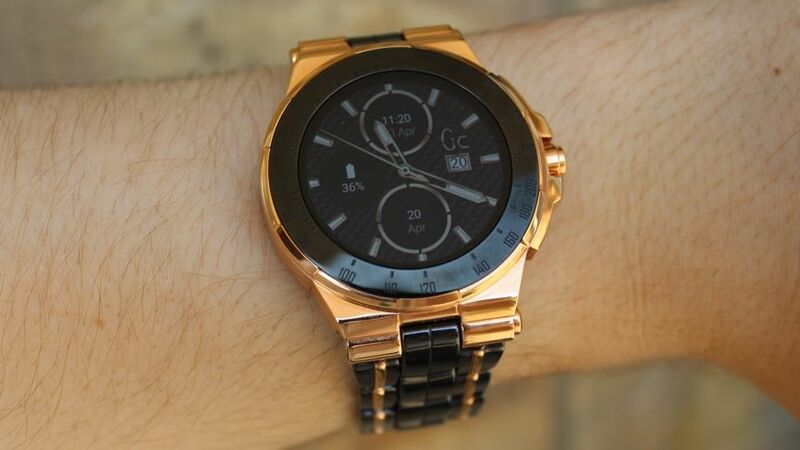 The Gc Connect is another fashion smartwatch that’s taken a familiar, eye-grabbing design of a ‘dumb’ Gc watch and packed it with Google’s Wear operating system to give it a smart makeover. 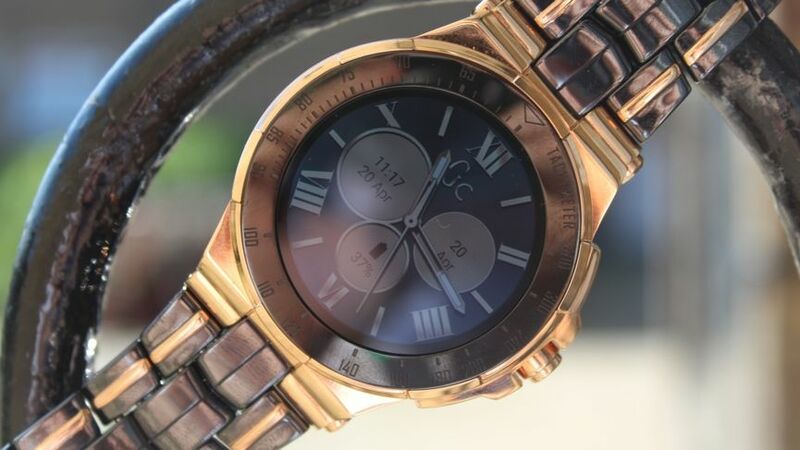 Just like the Guess Connect range, the Gc Connect Structura collection is available for both men and women, joining other fashion Wear watches, like the Kate Spade New York Scallop and Michael Kors Access Grayson, in a bid to find its way onto your wrist. Pricing for the Structura collection ranges all the way from $429 to $579, with the model we tested coming in at the top of that wallet-busting bracket. And while these watches aren’t cheap, the non-smart equivalents they’re based on aren’t either, so this doesn’t come as a surprise. But where does the Gc Connect Structura rank among the many other fashion-focused smartwatches currently available? We’ve been living with one of the smartwatch models for men to find out – read on for our verdict. 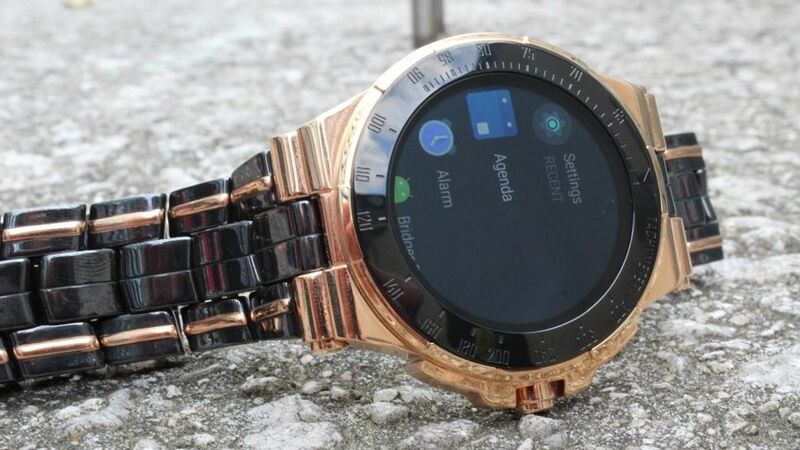 We’ve lived with plenty of smartwatches from fashion brands over the past few years and unlike smartwatches from Apple and Fitbit, the primary area of concern here is making sure this smartwatch looks good. When we first checked out the Gc Connect range almost a year ago, we praised the more minimalist approach on the full-screen smartwatch experience. While Guess opted for crystals and jazzy colours for its connected range, Gc instead provides a more elegant look with the Structura. We had the 44mm men’s version of the watch and you’ll know it from the sizeable bezel it’s packing. Rest assured, this isn’t a smartwatch you’ll forget you’re wearing. And though this wasn’t something that was overly problematic for us during our time with the device — after all, there’s precious few men’s smartwatches that come below the 42mm mark — those with smaller wrists may find it a little overbearing. 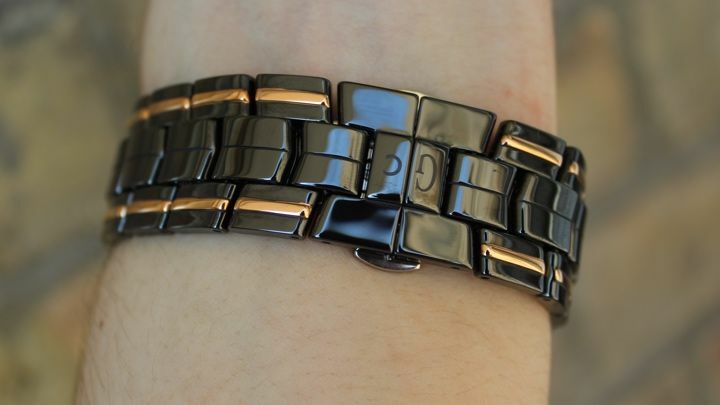 And that’s especially true, like with most watches, if you opt for the metal strap. Not only does this add serious weight onto the wrist, but it also just isn’t as comfortable as the silicon or leather options also available in the range. And smudges, well, you can’t breathe without this thing somehow, inexplicably, picking up a fingerprint mark. That becomes a real nuisance after a while. But, overall, we give the look a stamp of approval. The Guess Connect Ace had slightly more personality and was one we did find ourselves reaching for more willingly during testing, but that doesn’t mean this is a slouch in the design department. 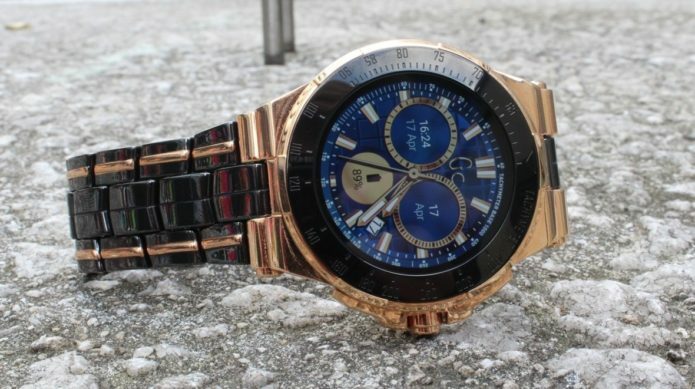 The build is impressive – exactly what you’d expect from the luxury arm of a fashion brand – and the gold bezel and strap detail doesn’t feel tacky whatsoever. Even if it’s not to your taste, the men’s Structura is also available in silver, while the women’s collection also has two styles; one with a gold bezel and silver case, the other coming in full gold. Around the outer edge of the bezel, you’ll notice the dial is accented, while only one button rests on the side of the case. This digital crown, which features an engraved Gc logo, acts as your only navigation point without touching the screen. However, this is quite different from the ‘dumb’ Structura model, which had a plain bezel and also offered two buttons either side of the crown. 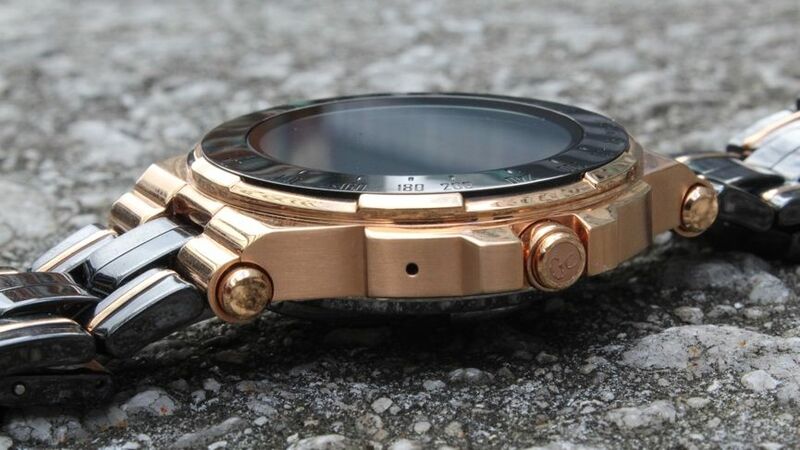 Since getting around the smartwatch is all achieved through one button, it would have perhaps made sense to also bring the three-button design over to the smart version of the device, too, even if such a thing would only slightly compromise the look. This one-button navigation isn’t something you’ll initially find that much of an issue when using the Structura, but after seeing how easily it picks up screen-altering smudges, you’ll wish you had an alternative way of getting around. And speaking of the screen, the 390 x 390 AMOLED resolution display is bright, vibrant and everything we could want from a screen. It’s not best-in-class, but it certainly doesn’t embarrass itself, and you’ll only ever really have visibility issues in harsh sunlight. While you’ll pay a premium for the strong looks provided by the Gc Connect Structura, this isn’t a smartwatch that you can expect big things from in the features bracket. While there’s plenty of Wear watches that will give you waves of functionality on the wrist, this isn’t one of them. There’s no GPS, waterproofing or heart rate monitoring on board here, and though you can technically exercise with it, it’s unlikely you’ll want to wear this on a sweaty run or a cycle around the park. But this is still a Wear device, so let’s run through what you do get through this experience. Well, similar to its Guess Connect siblings and plenty more in the fashion brand circle, this is Google’s operating system at its most basic. And, in fairness, it’s hard to really label this as a weakness; something like the Gc Structura isn’t here to compete with the LTE powerhouses of the industry, it’s here to look better than them. You’ll still get things like notifications pulled in from the likes of texts, emails and third-party apps (which can be toggled through the Wear OS by Google companion app), though you unfortunately won’t be able to reply from the wrist. They’re still presented in the same style as you’ll find throughout the smartwatch OS, though — you swipe up from the watch face to access your outlying messages, swiping left or right to get rid of them and tapping to see the entire message. You can also access the catalogue of standalone apps through the Google Play Store, though unless you enjoy the functionality provided by big names like Nest, Uber and Spotify, there’s not a great deal to get excited about here. As we pointed out with the Guess Connect, though, watch faces are a strong suit for the Structura. You can customise the many bespoke Gc options available out of the box, while apps like Facer can help you explore even deeper and change up your look every day. Naturally, we have to point out the omission of Google Pay. While this falls into the 2017 crop of Wear smartwatches from fashion brands, of which none harboured the contactless payment feature, it really is a head-scratcher why it isn’t included, and we hope that’s rectified later this year through a new line. Something that is under the hood taking up room, meanwhile, is Qualcomm’s Snapdragon Wear 2100 processor. As with pretty much every device we’ve tested housing the chipset, this consistently provided a smooth and fast experience around the Structura. Although, with that said, this is to be expected, given the fact that there’s not a lot of hard work required by the watch itself. This is Wear at its most basic, and for the most part that’s okay. We weren’t strapping on the Gc Structura and expecting it to replace our phone or stream our music (though it can control your tunes when synced to your phone) for hours on end, but what it does provide is a healthy smartwatch experience which backs up the strong design. There’s absolutely room for improvement, but we expect that to come as Google continues to make changes to Wear OS and features like Google Pay become standard across the board. With the Structura not exactly providing the most heavy duty features, you might expect the battery life to be one of its stronger suits. However, while this is an area which can vary strongly depending on how you use the device, we found that the smartwatch’s battery was only able to make it roughly 18 hours, meaning that we woke up to a fairly low battery on day two, with the device reaching a dead end shortly after. That’s less than the 24 hours touted by Gc itself, though this was with brightness pumped up fairly high and the always-on screen turned on. When we turned this mode off and used the device more sparingly, we were able to stretch things out to a full day. The watch uses the same charging puck as the Guess Connect Ace, and this thankfully does mean that charging things back up doesn’t take too long — around two hours should be enough to see you right again. On this front, it’s not exactly surprising to see the Gc Structura fall foul of the same battery issues as many of its counterparts, but it’s still disappointing when you consider its size and lack of relative lack of functionality. The Gc Connect Structura is on sale in the UK for £410 from WatchShop.com, who kindly loaned us a sample for this review.